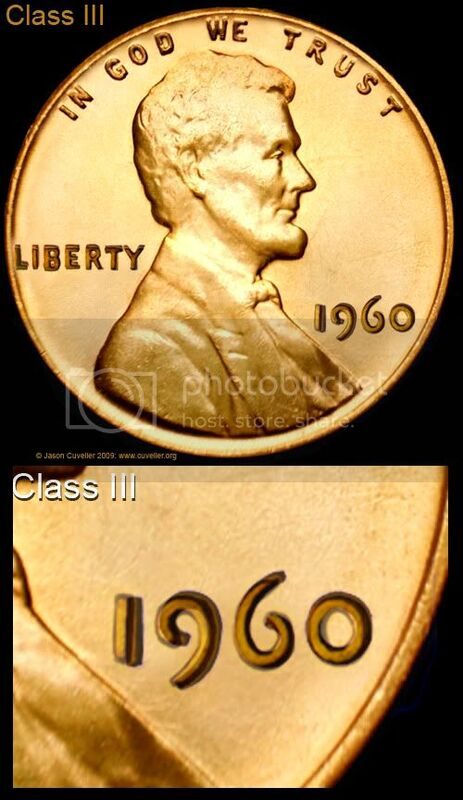 Below is an overlay diagram of a fictitious Class III Doubled Die that is similar to several Doubled Dies that occurred during 1960 when the Mint used two different Master Dies, the first bearing a small date, then another made later that year bearing a larger date. You can see clear doubling in the date and then slight doubling in LIBERTY. 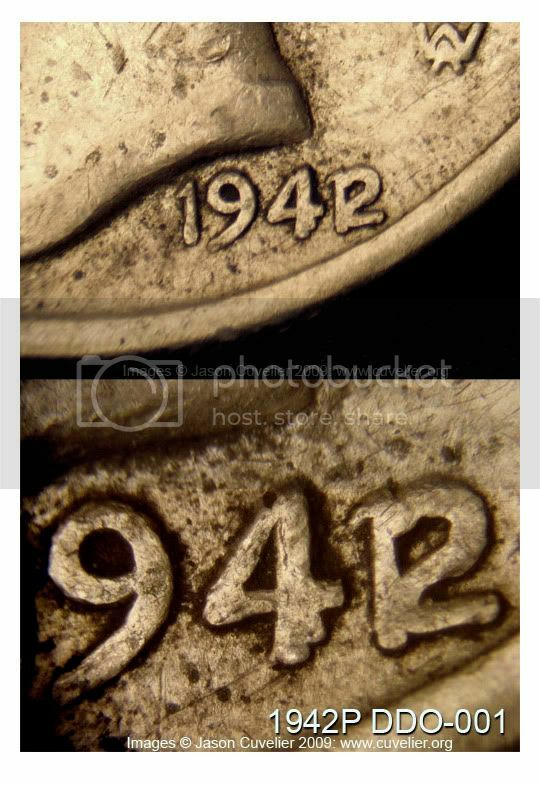 Doubling is sometimes the least dramatic characteristic observed as in some cases, with other denominations, such as on a Mercury Dime with a 1942 over a 1941 designated as 1942P DDO-001 (FS-10.7  when, for whatever reason, a die after having been hubbed with a 1941 hub was hubbed a second time with a hub having a 1942. There is some doubling in IGWT, but there is a very dramatic, naked eye obvious overdate. It is important to note that all overdates after 1907 are Doubled Dies whereas previous overdates had dates punched into the die one on top of the other. 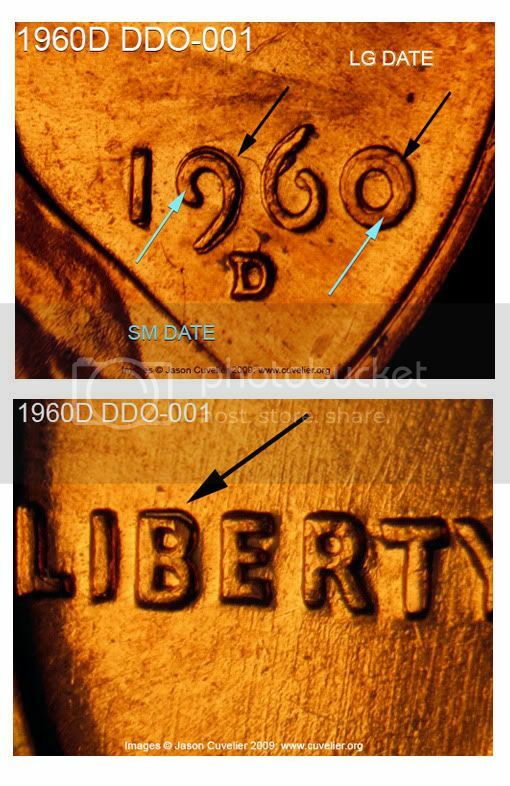 Collectors of Lincoln cents should have an easy time understanding what would happen if a 1960 small date hub and a 1960 large date hub were both used to create a die. There are four cases of this happening, three on proofs and one business strike from Denver (which also has a nice RPM). Below is an approximation overlay of a small date over a large date with an example designated as 1960P DDO-002 (FS-102). The doubling is very obvious in the date, LIBERTY and parts of IGWT. At the bottom the small date is lavender while the large is green; the first shows a small over a large and the second shows a large over a small. They almost line up perfectly with DDO-002.